It’s been nearly a month since the Candidates ended. Even as I write this, many of the players from the Candidates are fighting in either the US Championships or Shamkir Chess 2018. So I will try to catch up on the backlog of games! After his defeat by Kramnik in Round 3, Aronian bounced back to win a fine game against Karjakin in the next game. In Round 5, he had an excellent chance to score a second consecutive victory, but a couple of mistakes allowed his opponent, Alexander Grischuk, to escape with a draw. In his earlier calculations, Kramnik had wrongly thought that the rook on c7 was on c8. Thus, although he would lose the h4 pawn, he could still win it back after 37... Bc7 38. Rxh4 Rf8+. Except that the rook was not on c8! 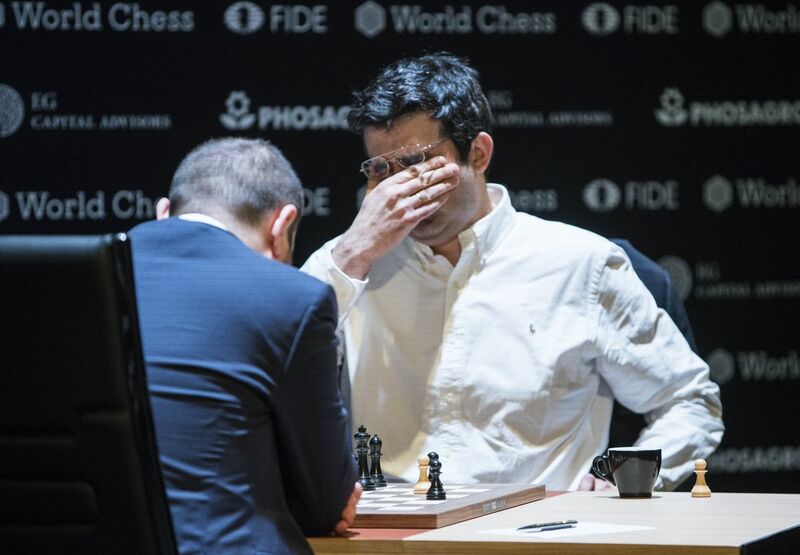 "Eyes, you do me wrong today"
With this victory, Mamedyarov, who had been in excellent performance recently, moved up to join Caruana in first place. 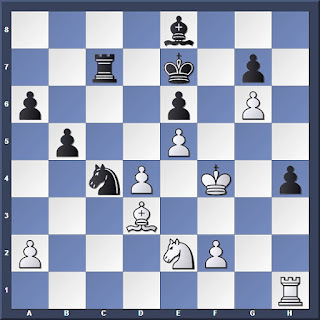 The Candidates Tournament certainly been producing more than enough exciting games for us!